Tracker One is a Genuine 3G GPS Vehicle Tracker for use in Cars, Trucks, Buses, Heavy Machinery, Caravans and Motorcycles. Being fully waterproof it can also be used in Boats, Yachts and Jet-skis making Tracker One the most versatile and cost effective vehicle GPS tracking solutions available. Once installed there are no ongoing monitoring costs or fees. The only ongoing cost is that which is associated with the SIM card. We include a ALDI SIM card and with typical use, the data usage will equate to around $30 per year. For only $30 per year you have absolute peace of mind and often your insurance company will give you a discounted premium for having a GPS tracking device in your vehicle. The Tracker One vehicle GPS tracker is capable of operating on all current Australian Mobile Carriers and its data usage and power usage levels are extremely low. Tracker One is one of the easiest Vehicle Trackers to set up and use and they are extremely cost effective. To assist customers to use the different functions of the Tracker, we include a ”Quick Start Guide” and USB Drive with comprehensive instructions and individual “How To” Guides in plain English with images. Tracker One research confirms the primary motivation of customers is to locate their cars or other vehicles if stolen or for Fleet Owners to monitor their vehicles usage and movements. A Standard installation requires only 3 Wires, 12v Constant, Earth / Negative and Accessories, and typically takes approximately 30 minutes. These cables are readily available throughout most vehicles. Geo Fence - The ability to set a perimeter around the vehicle, which if breached, sends an alert to the owner by SMS. Speed Alarm - The ability to set a maximum speed, which if exceeded, sends an alert to the owner by SMS. Low Power / Power Cut Alarm - If the battery power is low or cut off, an alert is sent to the owner by SMS. Multiple Trackers - The Ability to Add Multiple Units to The Same Account rather than having to log into a new account every time you want to view a different vehicle. Accurate - Accuracy to within 5 – 10 metres. Route Recording - Shows you where your vehicles are / have been. The Tracker One website integrates Vehicle Route Information automatically recorded to its on board memory, (as seen in the image below) displaying where a vehicle has been, how long it was there, average speed and retains this and other information for a minimum of 3 Months or 2000 way points. This gives businesses incredible power to reconcile job invoices. Having a Tracker without being able to view its location, is like having a phone without a phone number. Tracker One users have free lifetime use of the Tracking Website and both iOS and Android Applications so no matter what device you are using, we have you covered. Our software is full functioned but more importantly, easy to use.  Yes, this card will work fine with all Blackvue Dash Cameras however we always recommend that you use a Blackvue Australia supplied SD Card to manage the integrity of your warranty. This card is a Micro SD Card, it is smaller however it comes with an adaptor that makes it the same size as a SD card. Who can install this unit? If you have very basic electrical skills then you could easily do it yourself. It's a 2 wire connection and it comes with all manuals for easy installation.